Sorry I missed your weekly Wednesday Woof! But, I think that a cute dog on a Thursday can work just as well. 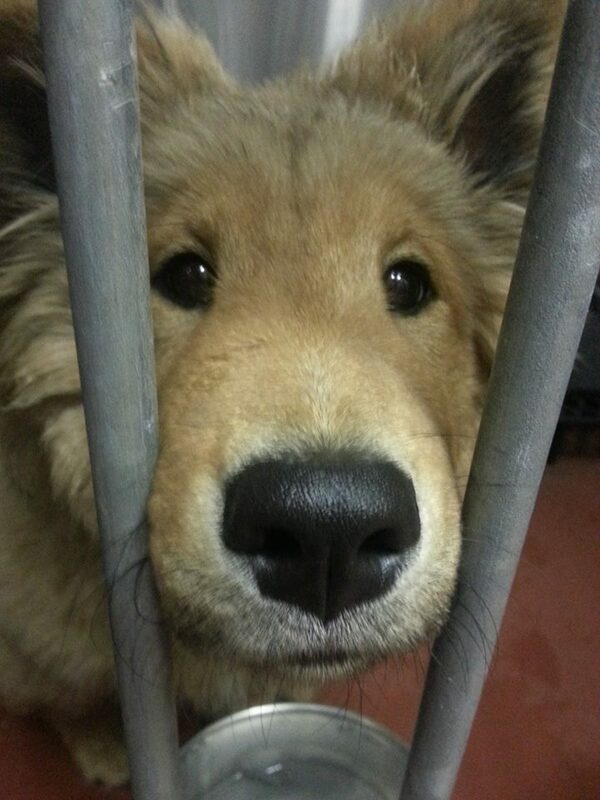 Why is this adorable dog in a such a thick barred cage? Is he in a kennel or maybe a shelter? I am not even sure what kind of dog this is, but he is so cute! Look at his nose! I just want to give him a hug.